The short answer to that question is yes. However, the long answer to that is that it depends on how you use it and if you use it correctly. Twitter has a huge potential for marketing your products or service and if you don´t use it-you might be missing out. Your content should be relevant to your theme of business and must be interesting and with some new and additional knowledge. Give your brand some personality. Tweet at 120 characters or fewer. Schedule for all time zones. Don’t be afraid to have a little fun. Try a weekly impossible quiz, a photo bomb, employee-of-the-week photo, customer-of-the-week, a weekly poll, fill-in-the-blank, etc. The constant stream of posts on Twitter may feel hectic for you but as you are exposed to the Twitter stream, you’ll start to hear interesting things which will be beneficial for you as well as your business. Twitter is developing quickly into the useful marketing tool for the small businesses that sell products and services to other companies. Twitter gives you both the option of engaging the customers with also the professionals from where you can take suggestions. Tweets, the short message can also link to the more information are easy to create and share. It is easy to read and reply too. These qualities make Twitter a handy and inexpensive way to learn about B2B prospects, by reading and responding posts. Engage with your customers on social media: For B2B sales, making that human connection is vital for proper demonstration of value for the client. Schedule your tweets:- You have to schedule your tweets around 2–3 times a day. Distributing Content via Twitter for Lead Generation: Using Twitter a way to distribute contents can help drive leads for other content properties such as blogs, contests, etc. Using Twitter Search for Lead Generation: One of the major keys to use Twitter for the information is its ability to find the most relevant information and people to your business. So, to summarize the question “Is Twitter Important For My Business?”. Yes, Twitter is important for your business but it is important that you know how to use it correctly. 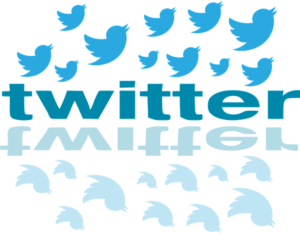 Hopefully we´ve answered your question “Is Twitter Important For My Business?” in this article but if we didn´t or if you have any further questions, don´t hesitate to comment below. PrevWhat Are Common Mistakes People Make on Social Media? NextWhat Questions To Ask When Developing a Social Media Strategy?